Users may want to turn on/off the different BOL options for different scenarios such as dispatching bulk wine versus dispatching cased goods. 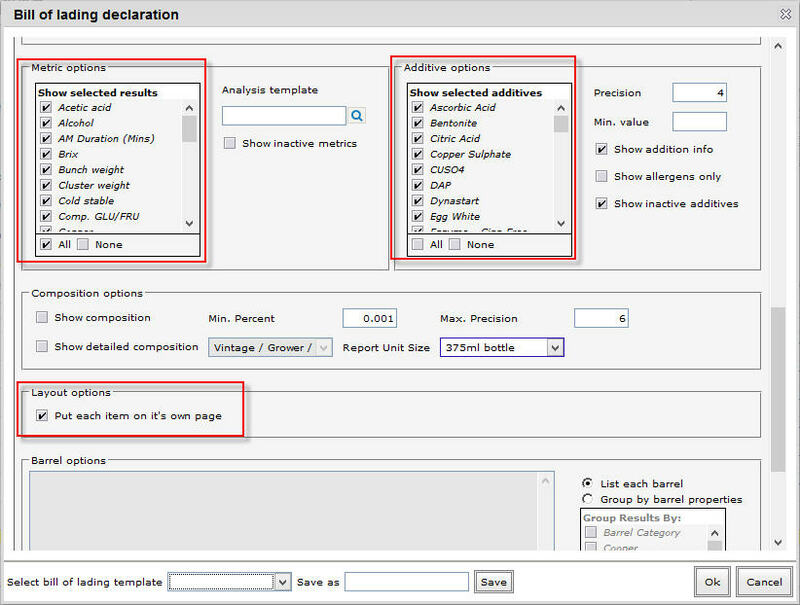 You can now save these BOL settings as a template and have the option to set a default BOL template. In the Bill of Lading declaration screen, set the options you want to have for your BOL. 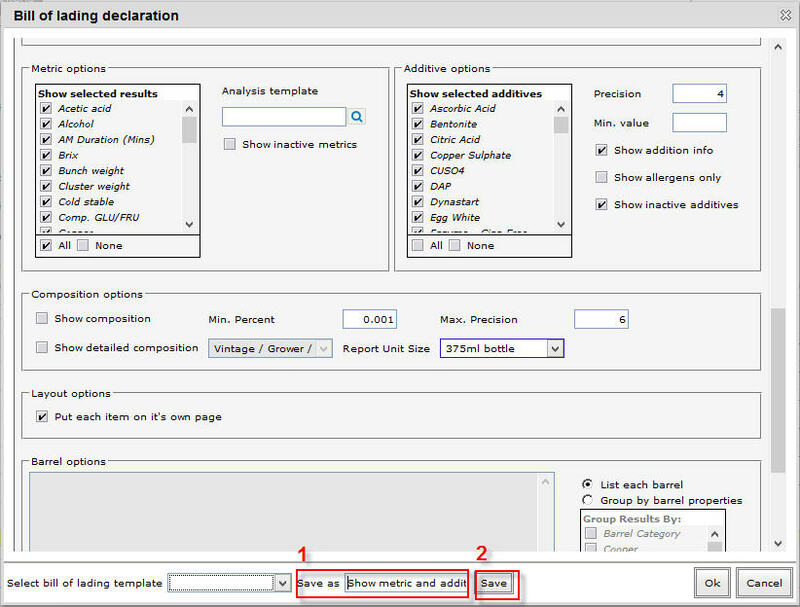 In the example below, we have selected all the metrics under Metric options, selected all the additives under Additive options, and ticked Put each item on it’s own page checkbox under Layout options. Enter a name for your BOL template in the Save as field, then click on Save button. After saving, the template name you have set will appear in the Select bill of lading template field. 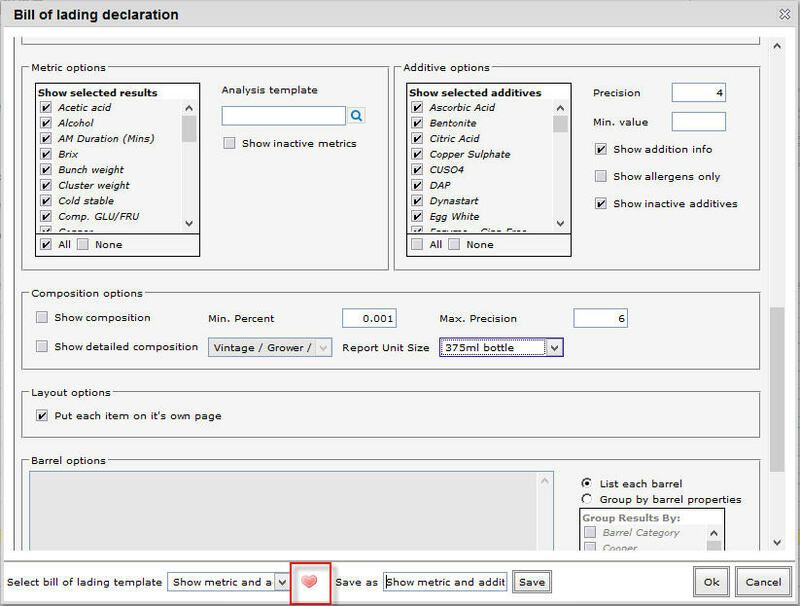 You can set this template as your default by clicking on the heart icon next to it.